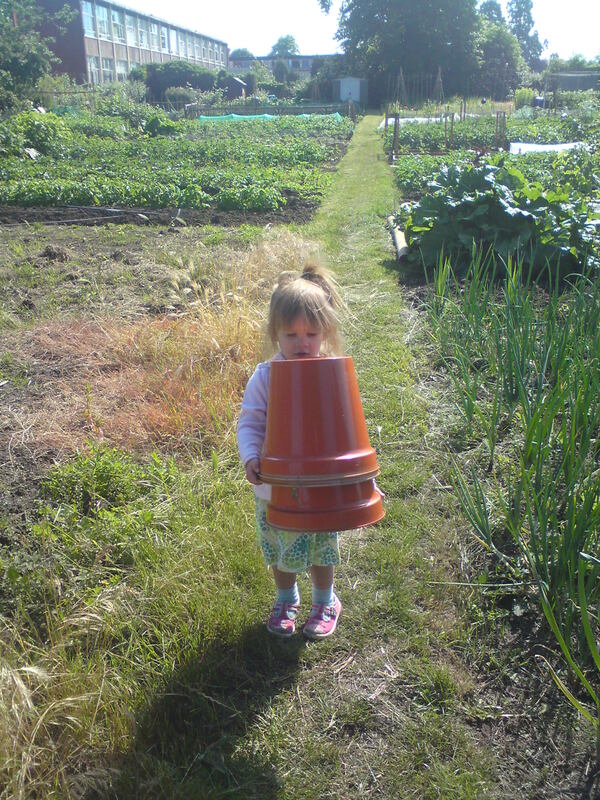 LAST week before school holidays = last chance for un-interuppted gardening. So I spent hours last Tuesday blitzing the allotment. Up came all my onions, which had keeled over and are drying quite nicely, and most of the shallots. The dried-up pea plants were cut off and the roots dug into the soil. 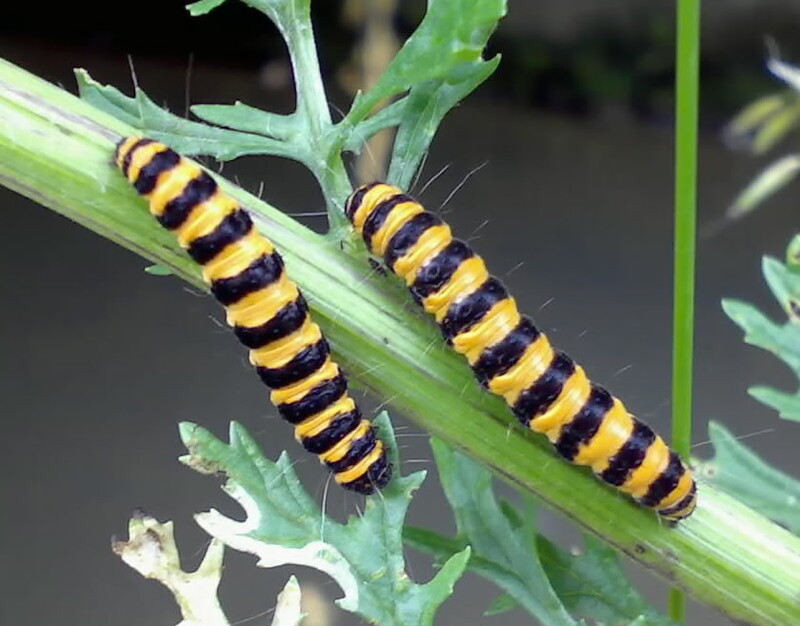 Weeded quite a lot, especially the tall dandelion-like sowthistle and groundsel, which have taken over my allotment and given a home to many, many yellow and black striped caterpillars of the cinnabar moth. I’ve rather speculatively put in a row of very chitted seed potatoes with were forgotten on a windowsill, in the hope we have an autumn that’s warm enough to keep them alive for a late crop. I’m having another bash at sowing some kale, under cover, as my previous seedlings got shredded by the flea beetles when sown direct. Still surviving and starting to fruit beautifully are the ever-reliable courgettes, some bush tomatoes, sweetcorn and beans. The roots, including carrots, beetroot and parsnips are looking good despite the lack of rain and the spuds are blight-free – so far. My salad leaves bolted in the heat but overall, 2010 has been pretty fruitful considering the warm weather. I’m already planning for next year. . .